When children are drawn into a game they will begin to learn before their inhibitions to do with learning have time to kick in. 2. Games provide a safe environment for practice and feedback. In a fun and safe environment children feel more comfortable to try new things without serious consequences. 3. Fun Games can be very memorable and help with retention. 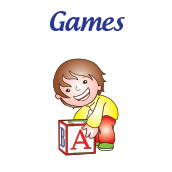 Games increase the ability for children to recall fun facts and new words. Strong emotions triggered by fun experiences help with learning and leave longer lasting impressions. 5. Games give kids immediate reinforcement and reward for their learning. Children can receive satisfaction following learning if it happens in the context of a fun game. 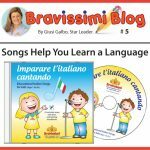 Why are songs such an effective Italian language learning tool? 1. Use of everyday language and colloquial speech. Most language used in songs is casual and usable in everyday speech. 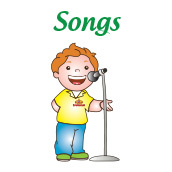 Hearing the language in song is a great way to introduce fun phrases and expressions. 2. Songs get stuck in your head. The repetitive sounds and patterns in a song make it easier for them to get stuck in your head. You have probably experienced this yourself. When teaching a new language this byproduct of hearing a catchy song can help children retain and memorise new phrases they are hearing in the lyrics. We create strong relationships with our favourite songs. A good song will unlock our emotions and enhance our well-being both mentally and physically. So when something affects us emotionally it will also be easier for us to remember it. 4. Music is an easy habit. The best thing about music is that it is not boring. Unlike reading a book listening to music can be effortless and is fun to do in the car or around the house. Because it is such an easy habit to get into you can introduce learning without it feeling like a chore. 5. Music introduces you to culture. Many Italian songs are about topics that are important to Italian culture. As lyrics begin to be understood children will also come to understand how Italian people feel and think. The motions children use when making art, such as holding a paintbrush or drawing with a crayon, are very important to the growth of their motor skills. For example around age three developments should include drawing a circle and beginning to use safety scissors. Around age four, they may be able to draw a square and start to cut straight lines with scissors. Bravissimi preschool programs emphasize the use of scissors because it develops the dexterity children will need for writing. Sometimes for toddlers the act of making art—even talking about it—gives opportunities for them to learn news words for colours, shapes and actions. When toddlers are as young as a year old, parents at home can do simple activities such as crumpling up paper and calling it “palla” a ball. 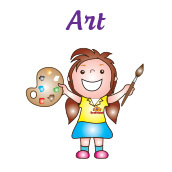 By primary school, children start to use descriptive words to discuss their own artwork and even talk about what feelings they have when they see different styles of artwork. Children whoa are encouraged to express themselves and take risks when creating art are more likely to develop a sense of innovation which helps their interest in learning. Art can encourage children to think about how to make things better and inspire them to keep learning. Every culture has its own art styles and practices influenced by its history. Giving children art projects like painting and sculpture is a great way to teach them about the origins and history of a culture like Italian in a way that is fun, creative and hands on. Studies have shown there is a correlation between children who engage in art and have success in other academic areas. For example children who participate regularly in art activities are more likely to get recognition in other areas such as maths and science then those who don’t participate in art activities. After hearing a story children are inspired to start purposeful talking, not just about the story but also there are many games you can play. Hearing are story can bring all the students in the room together and encourage a sense of community that helps increase their individual confidence and lowers their inhibitions to learn. When learning it is important children learn to listen and take in everything that is said. By telling a story you are more likely to engage their attention and activate their listening. Sometimes, in order to engage our Stelle and Steline we don’t sit still in a chair. We talk slowly, with alternating rhythm; we walk around. We frequently ask the audience to repeat key words and actions and, as Italians often do, we use our hands a lot. A good story can motivate children to want to talk and write Italian. When exposed to a story in a second language they can be motivated to learn the language in order to better understand the story. 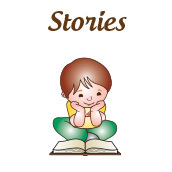 Children love to dress up and act out stories they hear. This leads them to create their own stories which helps them process new ideas they have learned. At Bravissimi we never worry about the student’s spelling, grammar and handwriting at this stage. A focus on these areas can easily demotivate and inhibit creativity. There must be freedom to take risks and make mistakes. Young children will benefit from age appropriate instruction that helps their emotional, physical and social skills. 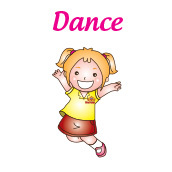 Dance encourages self-expression, creativity, and helps increase a child’s imagination through creative movement. Many young children first experience the love of learning through music and dancing. Usually children feel a sense of accomplishment after dancing together in a class. 3. Dance is story telling through movement. Dance is a great way to encourage children to begin expressing themselves through art. Overtime children start to build their skills through understanding how the rhythm of a song relates to the visual art of dancing. Children can use dance to reflect their uniqueness and in a group can use creating a dance as a way to deepen their appreciation for dance as its own art. By participating in dance young children experience unique joys as a performer through the encouragement of self expression. It inspires them to try new things and master skills that benefit them in other activities at home or at school. For young children seeing puppets can help to boost their creativity and stimulate their imagination. When a child’s imagination runs wild they are developing skills that will help them with everyday life without them even realising it. Sometimes Pre-school children between the ages one to three, can be overly active and easily irritable. Using puppets are perfect for capturing their attention, this is because they are fun, safe and a progression from educational cartoons they are likely to see at home. 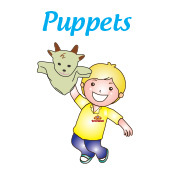 Puppets are interactive which encourages children to engage in the learning process. Puppets are a great tool for children to share or retell what they have been learning or observing. When puppets are used with other play based learning such as dance and games children are even more likely to retain what they learn. Watching two puppets animatedly speaking to each other can help lower the inhibitions of children and encourage them to initiate conversation. Children can learn different communication techniques by watching puppets which they can then apply to their real life. Primary school aged students can benefit greatly from puppets as when a puppet speaks children are more likely to listen, identify, and understand different words and phrases as they are performed by their teacher who can stress proper enunciation and pronunciation. 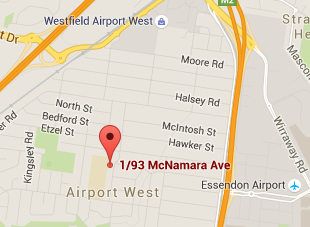 This helps especially with their oral and language skills development. By performing children learn to take risks and trust their ideas and abilities. The confidence they learn from performing will help them in every aspect of their future. By playing, practicing, and performing children will develop a new focus of mind, body, and voice which helps with other areas of life including school and learning a new language. 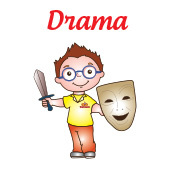 When children participate in drama it enhances their verbal and nonverbal expression of ideas. Children learn how to project their voice and articulate and speak fluently. 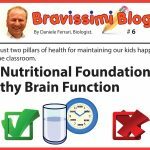 By rehearsing and performing children have to learn words, movements, and cues which helps strengthen their memory skills like working a muscle. Stories and plays explored in drama can teach students about social issues and conflicts from the past, present and other parts of the world. By acting roles from different situations, time periods, and cultures children learn compassion and tolerance for others. Help your Star to become a Bilingual Superstar! All in a playful and Italian environment. Lots of fun for little stars!